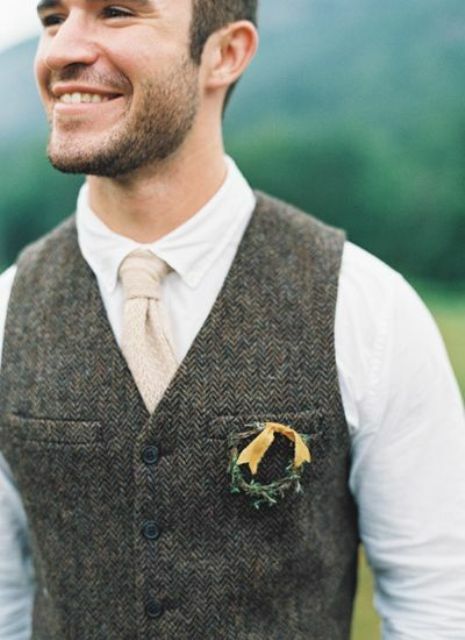 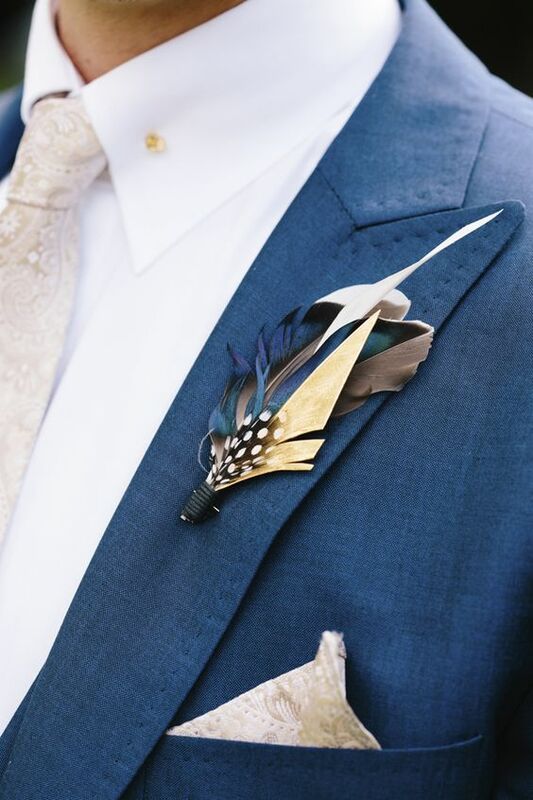 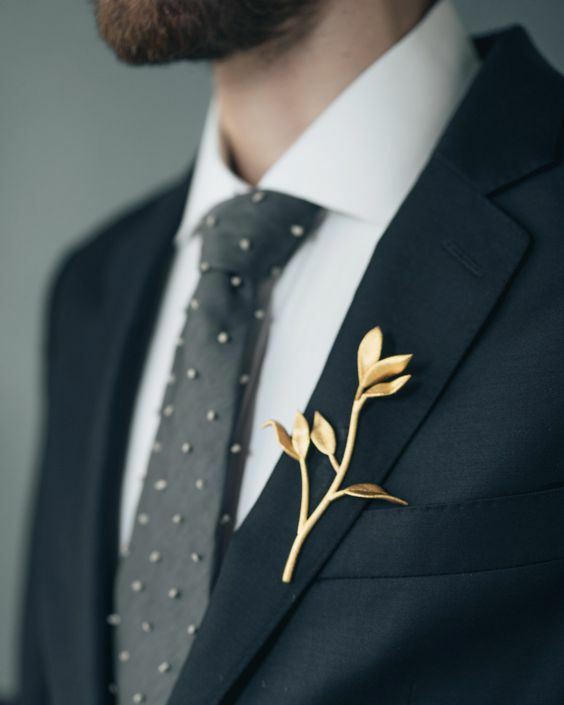 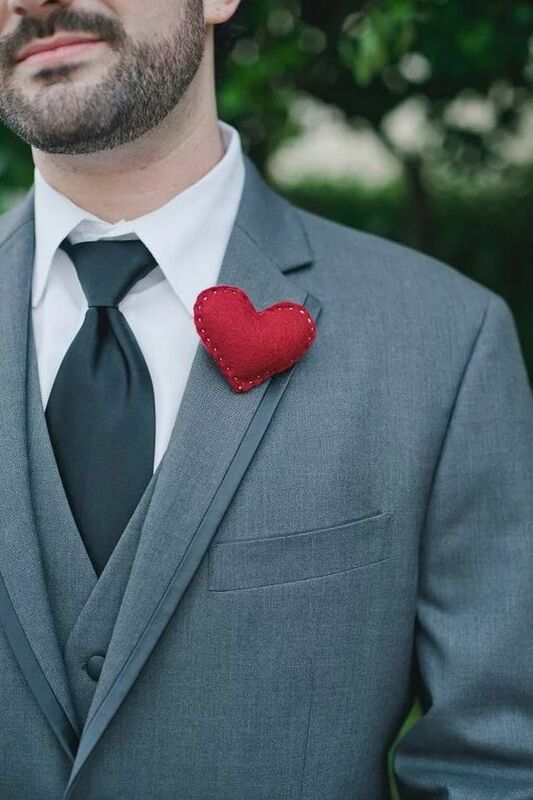 A boutonniere is an indispensable part of each groom’s look, it’s what highlights the outfit and helps the groom stand out from a crowd of groomsmen. 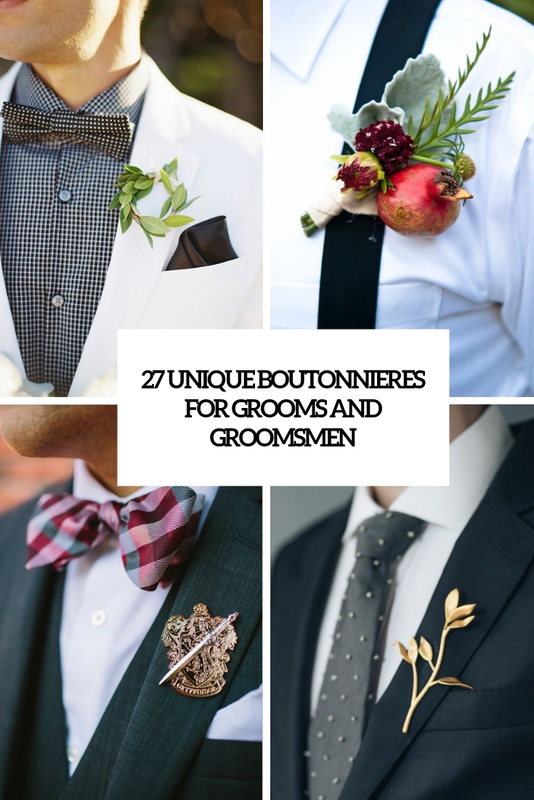 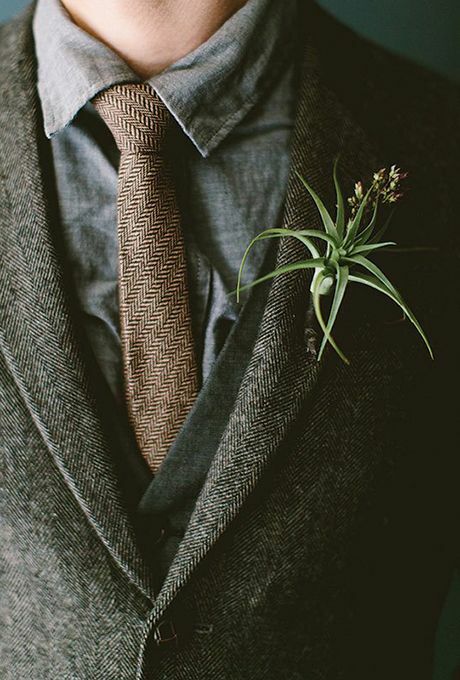 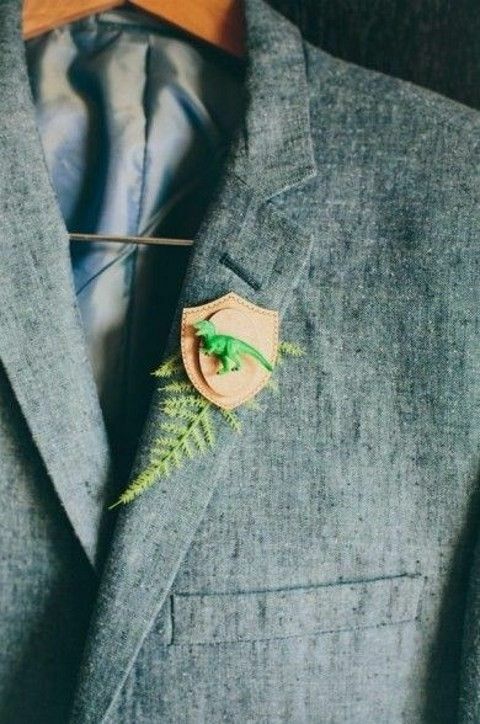 Most of boutonnieres are floral and greenery ones but what if you want something special? 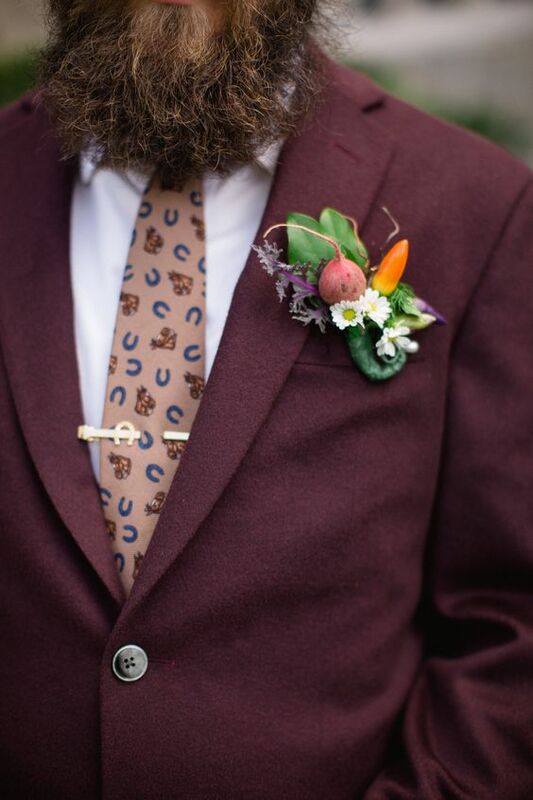 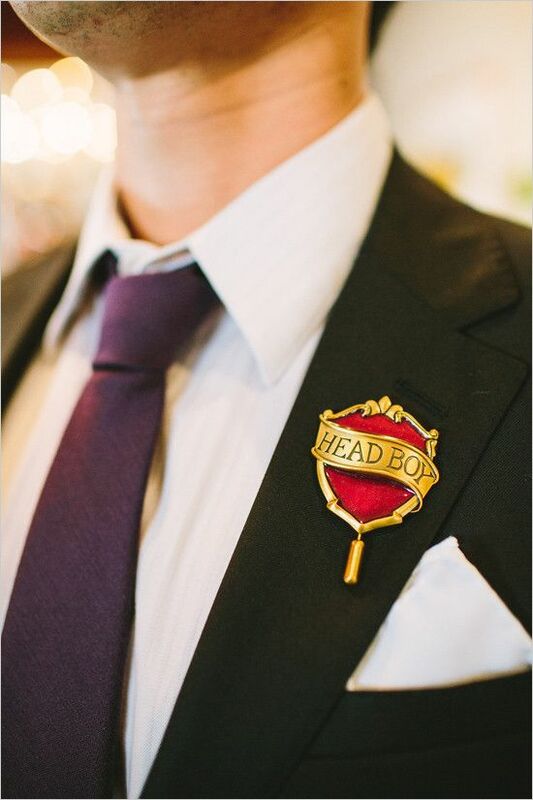 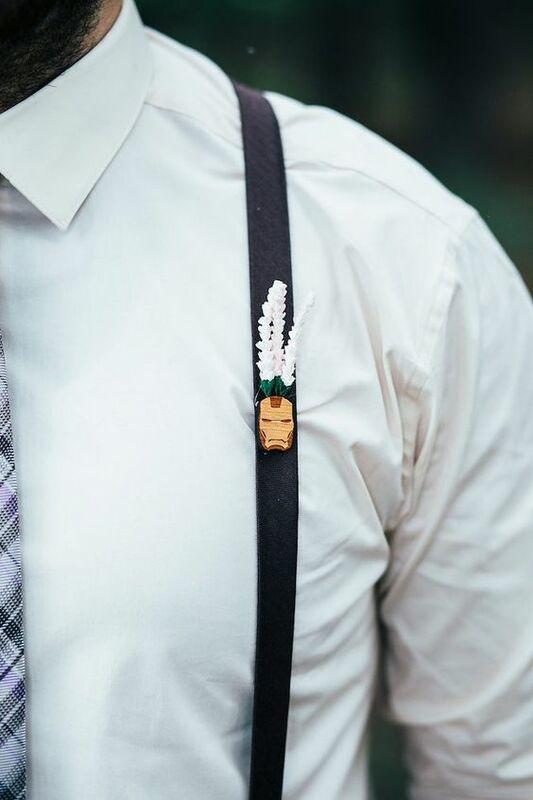 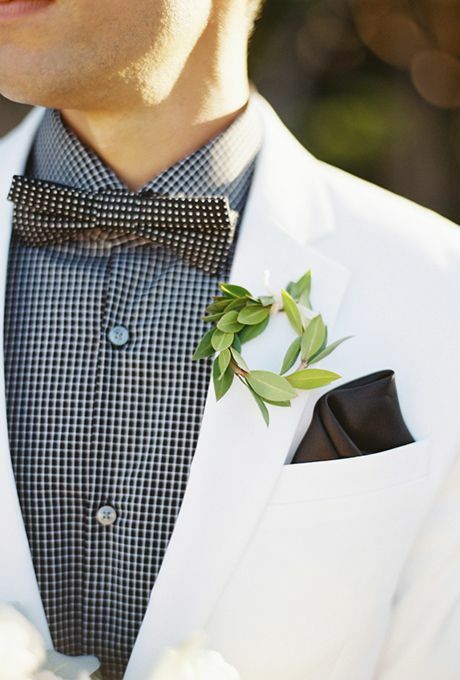 We’ve gathered a whole bunch of whimsy and creative boutonnieres to get you inspired, dive in! 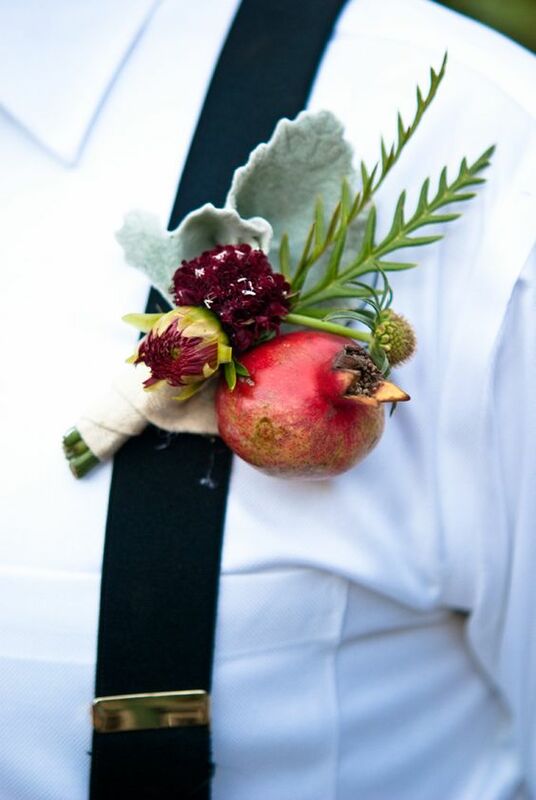 If you really want greenery and blooms, arrange them in a cool and eye-catchy way, for example, make a wreath of them. 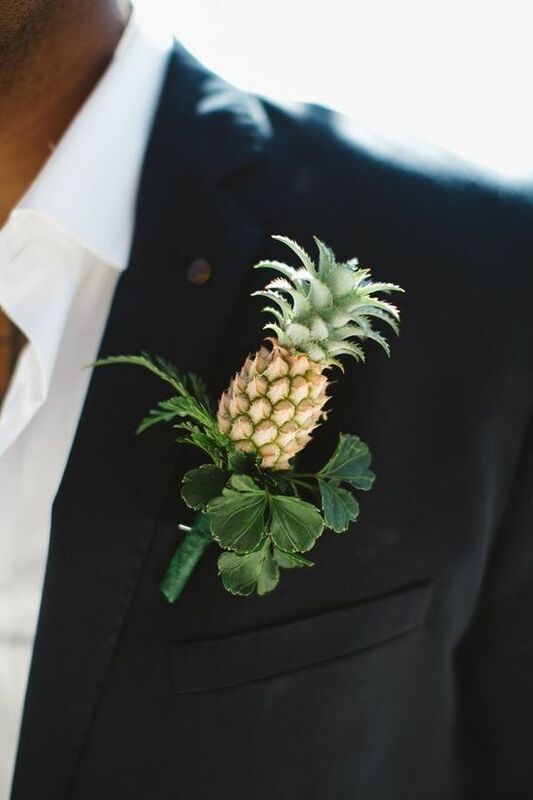 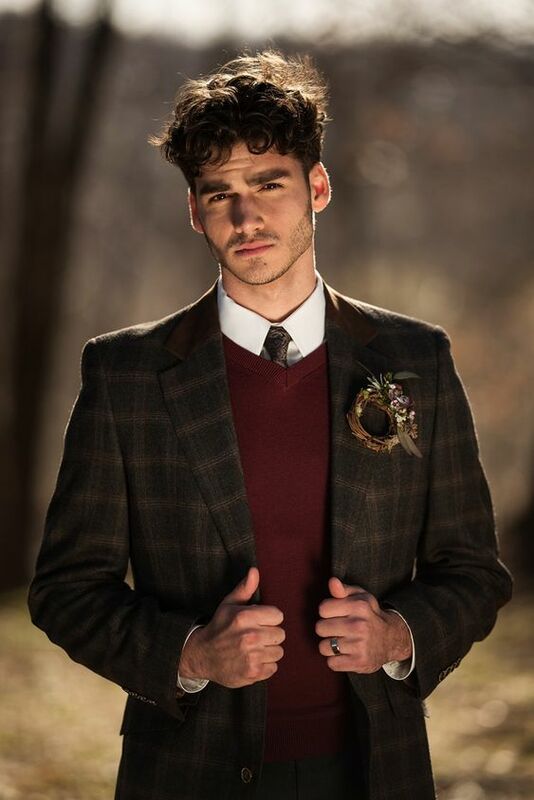 A wreath is a very creative shape for a boutonniere and is sure to be a bold and modern accent to any outfit – from vintage to glam. 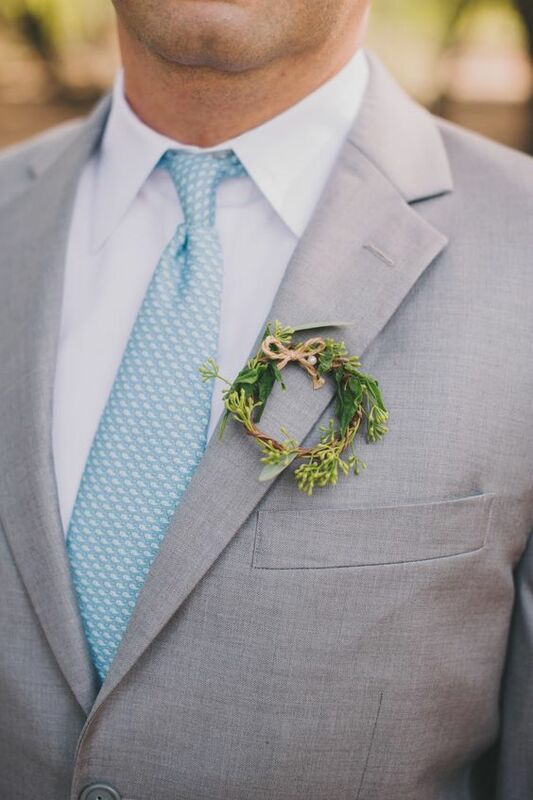 Use any greenery you want to cover a little vine wreath or make the wreath of greenery itself. 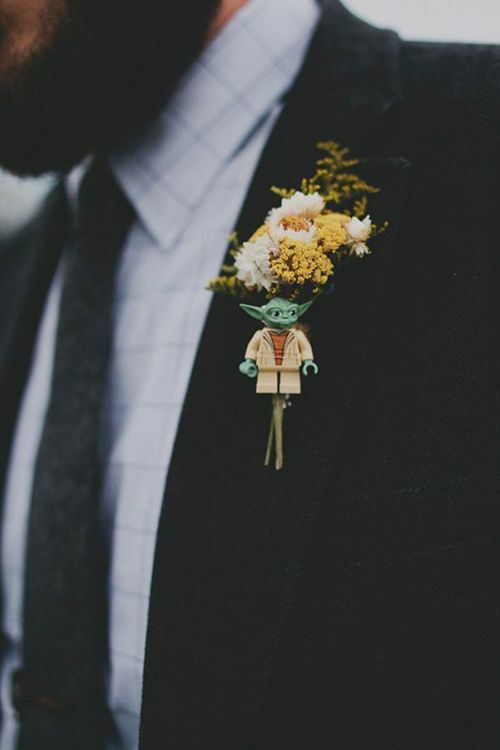 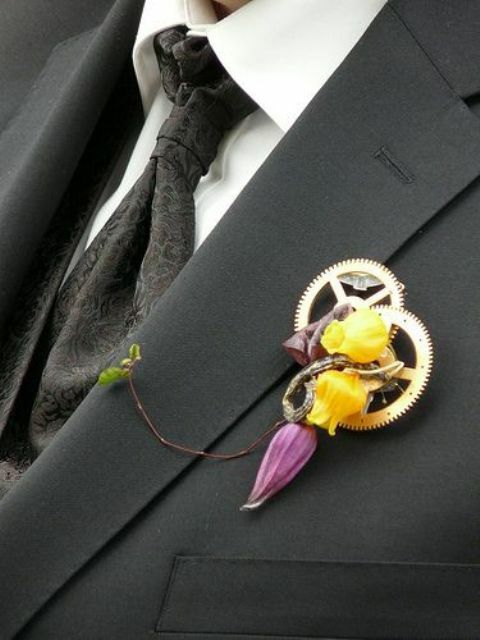 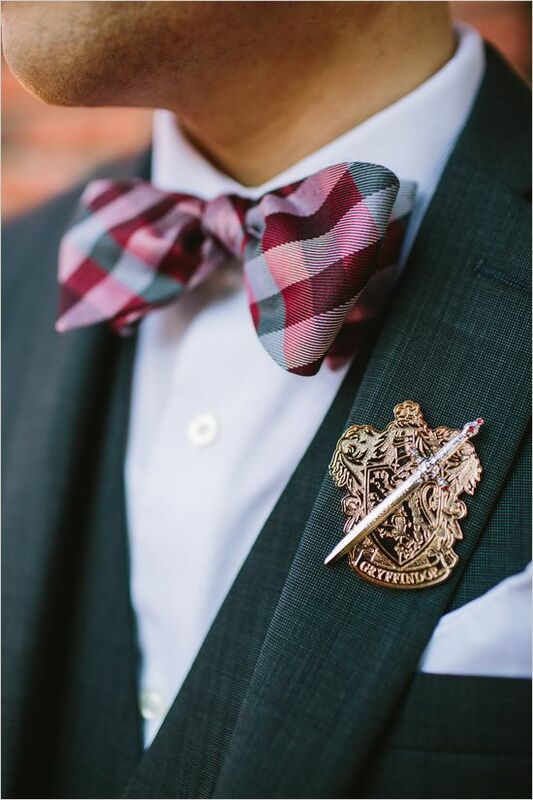 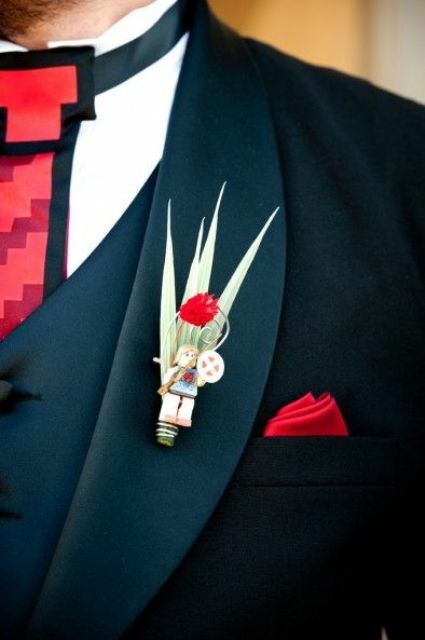 If you are a real nerd or going for a geeky wedding, why not highlight it with a nerdy boutonniere? 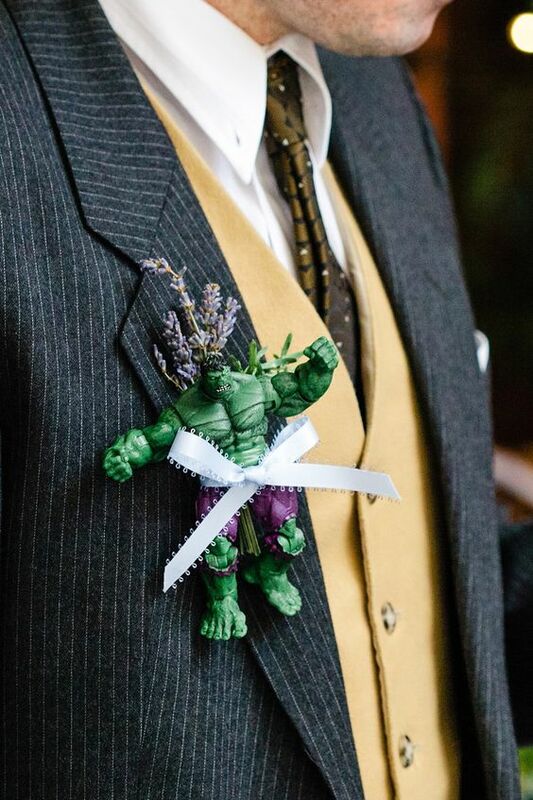 Rock a Hulk, Star Trek, Iron Man, Master Joda or any other boutonniere with your favorite character! 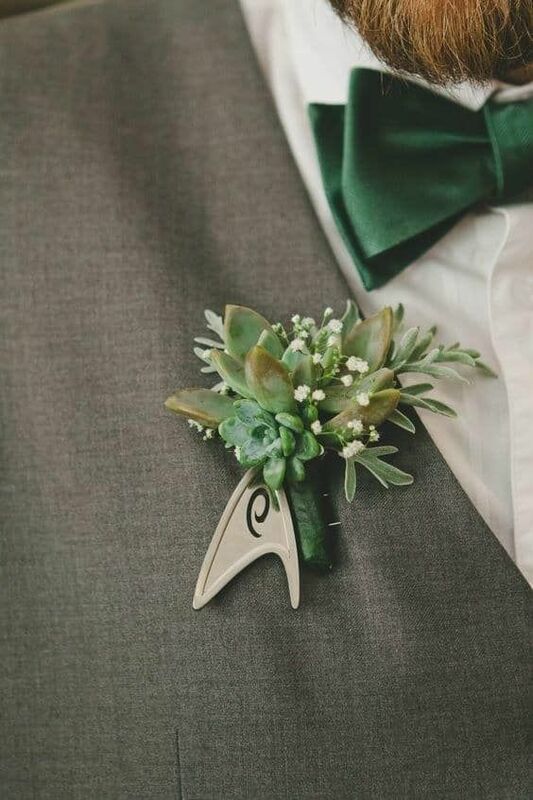 Use a little figurine and some greenery and little blooms if you want or just leave it as it is. 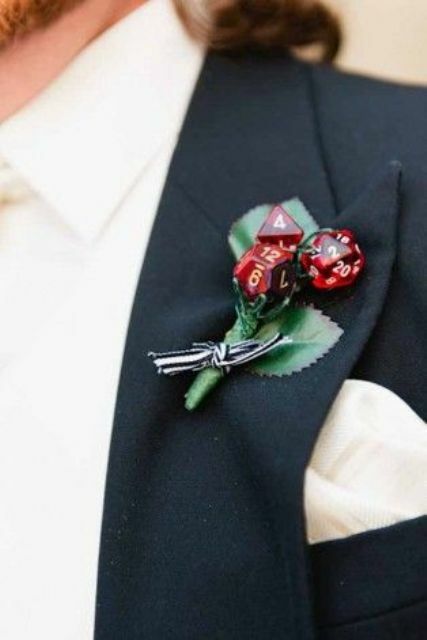 Such a whimsy idea always works, even if your wedding isn’t nerdy, it will work for sure! 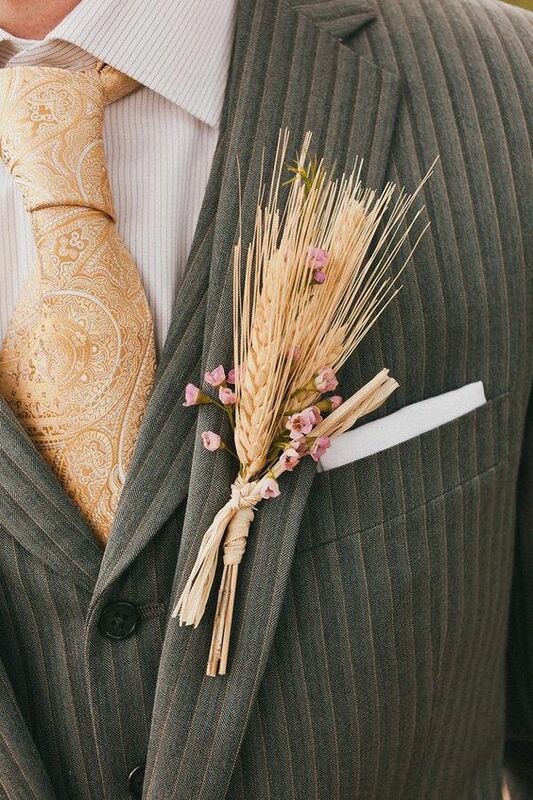 A foodie boutonniere is a very fun and creative idea, which is getting very popular now, especially for farm to table or rustic weddings. 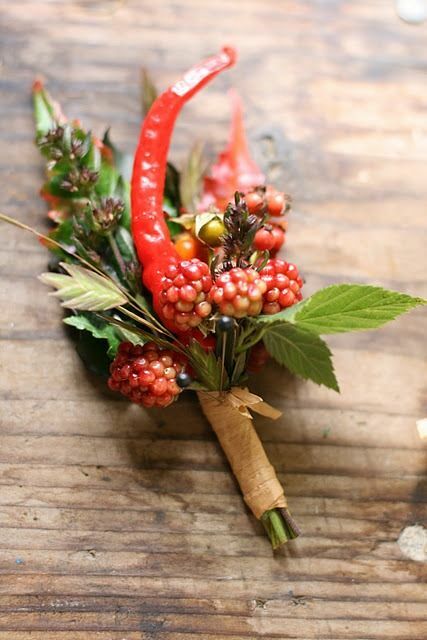 Use some berries, fruits or veggies in your boutonniere: peppers, carrots, pomegranates, pineapples, raspberries, blueberries, add foliage or herbs – and voila! 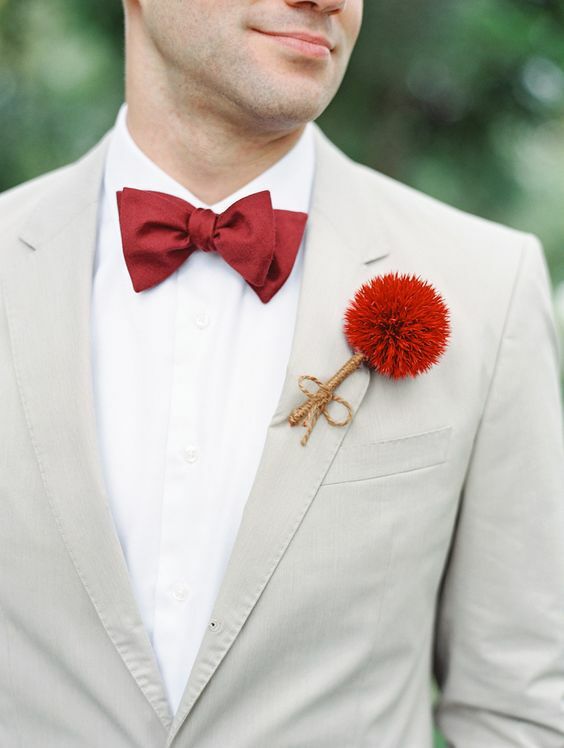 you may also add some blooms for a bolder and catchier look. 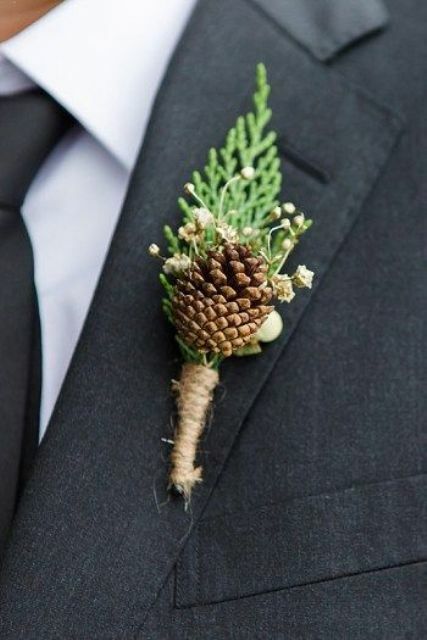 There are much more other ideas: gears, wheat, billy balls, feathers, pinecones, thistles, air plants, shells and so on. 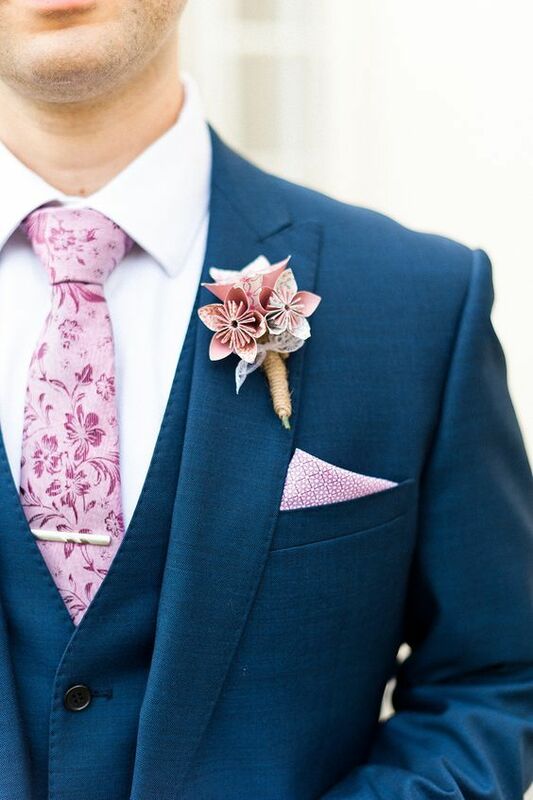 If you want an ultra-modern feel, go for a 3D printed boutonniere of any shape – that’s fantastic!